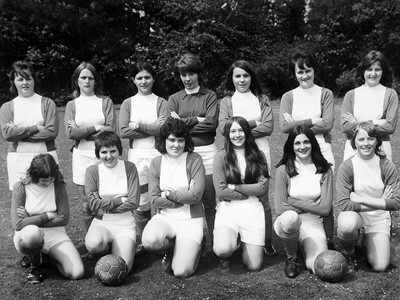 Birmingham City Women's Club history. 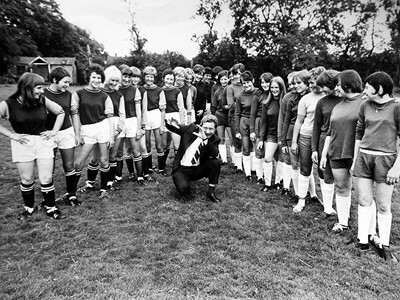 Birmingham City Women's Football Club was formed in 1968 (under the original name of Birmingham City Ladies Football Club) by a group of female fans who played local friendly matches until 1970. 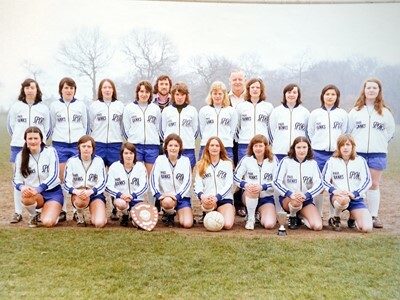 Initially the Club joined the Heart of England League in 1970, and played in the league until 1973 when it underwent a major restructure and become known as the West Midland Regional League in 1974. The Club was successful during this period, winning these leagues five times during the entire 70's and 80's (1971/72, 1974/75, 1976/77, 1987/88, 1988/89), amongst other trophies. 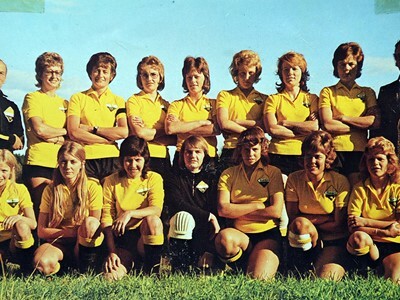 The Club ran into difficult times during the 90's, with many staff and player changes. As a result it created an academy of young players to try to regain stability. 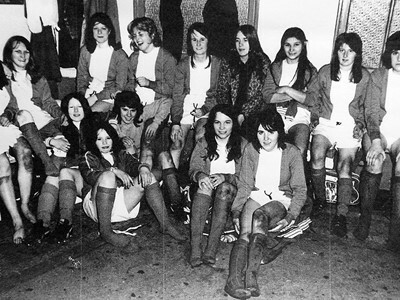 Many eventually played for the senior team. 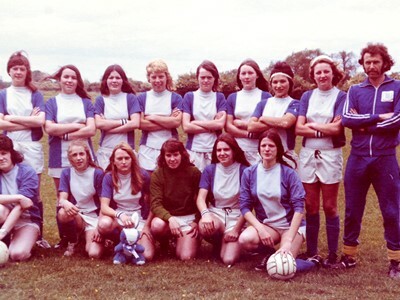 In 1998 Birmingham City Women were promoted to the newly created Midland Combination League and in their first season won the league, thus gaining automatic promotion into the National Northern Division. 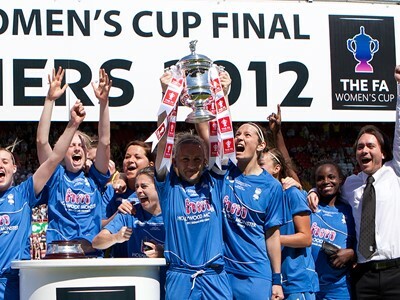 After two seasons, Birmingham City Women gained promotion to the top flight of women's football, joining the FA Women's Premier League. 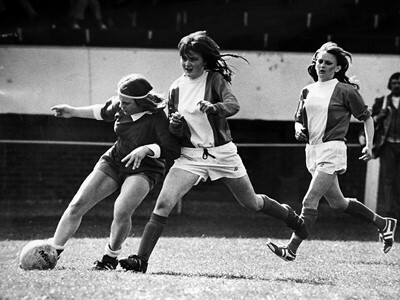 The academy had begun to produce players for the first team at this point, and Laura Bassett became the first Birmingham City Women's player, from the academy or otherwise, to appear for England at full international level. The club's high-profile manager of the time, Marcus Bignot, signed big name players including Rachel Yankey and Alex Scott for the 2004/05 season and Birmingham finished fourth. The club ran into financial problems when Birmingham City withdrew its support, and had to let major players go before the start of the 2005/06 season, which they finished in sixth position. 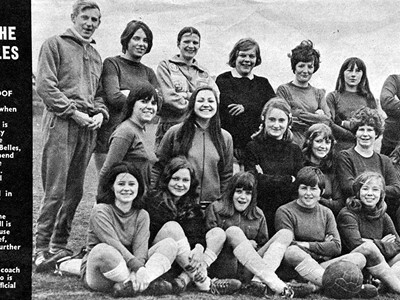 The Club was only able to continue after a player's parent donated £10,000. Also in 2005, the Club's junior sides joined the newly-formed Centre of Excellence league in the Central Warwickshire area. Birmingham won their eighth consecutive Birmingham FA County Cup in 2008 before a number of established players either retired from the game or moved on to other clubs. 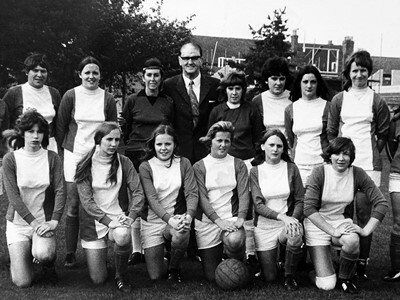 In March 2010 the Club was announced as a founder member of the FA WSL. The Club's successful application was underwritten by Birmingham City's previous owner Carson Yeung. In December 2010, Birmingham City announced the signing of several international players to their WSL squad. In June 2011 the Centre of Excellence's future was secured with the allocation of a new FA licence for 2011–12 season onwards; which realigned the current development pathway for women's football in England. The Club became inaugural members of the newly formed FA WSL in 2011 and came close to winning it at the first attempt, leading for most of the campaign before being overhauled by Arsenal. They also reached the Continental Cup Final but once again found Arsenal in the way at Burton Albion F.C. The season was notable for the goal scoring exploits of Rachel Williams who finished as leading scorer as well as winning the FA Players' Player of the Year Award. Due to the 2nd place finish in the 2011 FA WSL Birmingham qualified for a place in the 2012–13 UEFA Women's Champions League round of 32 for the first time in their history. Drawn against Italians Bardolino Verona, Birmingham won the first leg 2–0 but lost 3–0 at the Stadio Marc'Antonio Bentegodi, after extra time, to exit the competition at the first hurdle. In May 2012 the Club won their first FA Women's Cup, beating Chelsea on penalties in the final at Ashton Gate in Bristol. Also in 2012, for the second consecutive year, the Club finished 2nd in the FA WSL and were runners-up in the Continental Cup Final, both to Arsenal. 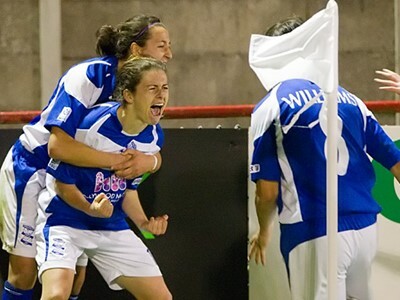 The 2nd place finish in the league qualified Birmingham for the 2013–14 UEFA Women's Champions League round of 32. 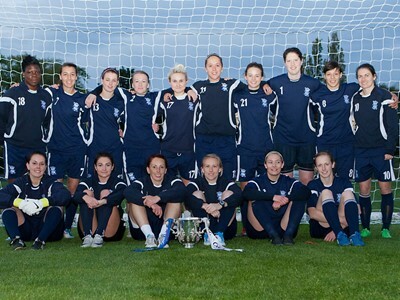 In 2014, Blues Women reached the semi-final of the UEFA Women’s Champions League where they eventually bowed out to Swedish side Tyreso FF in the second leg away. 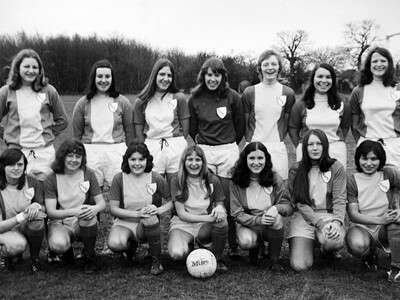 The same year, Birmingham City Women finished 3rd in The FA WSL. During the 2016 season, the Club signed its first ever foreign players with the likes of Norwegian international Andrine Hegerberg and Germans Marisa Ewers, Bella Linden and Ann-Katrin Berger joining, all signalling a shift in the mentality and appeal of the Club. It was during this season the Club played in their third Continental Tyres Cup final, this time losing out to Manchester City Women in extra-time. 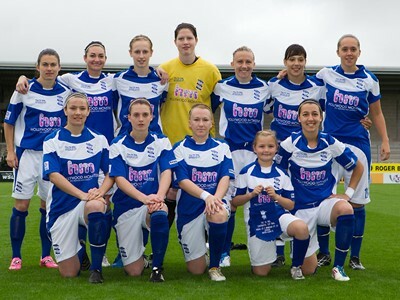 In November 2016 it was announced that Birmingham City Women would become fully integrated as part of the Birmingham City family following the takeover by Trillion Trophy Asia. The 2017 Spring Series saw Birmingham City Women enter in to a new era with a change in management. Marc Skinner made the step up from Regional Talent Club Technical Director to First Team Manager and marked his intentions early on with the signing of England Lioness Ellen White. In May 2017 Birmingham City Women featured in their second FA Women’s Cup final in five years, this time facing Manchester City Women in front of a competition record-breaking attendance of 35,271 at Wembley Stadium. This was the first time the Club had played at the traditional home of English football.